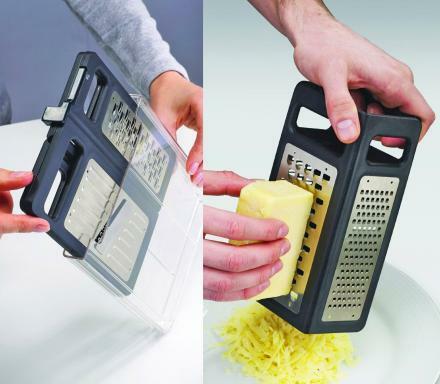 Those giant rectangle shaped graters are very nice, because you can just set them down onto the counter, grate your cheese, and be left with a nice handy pile of grated cheese neatly packed in the center of the grater. 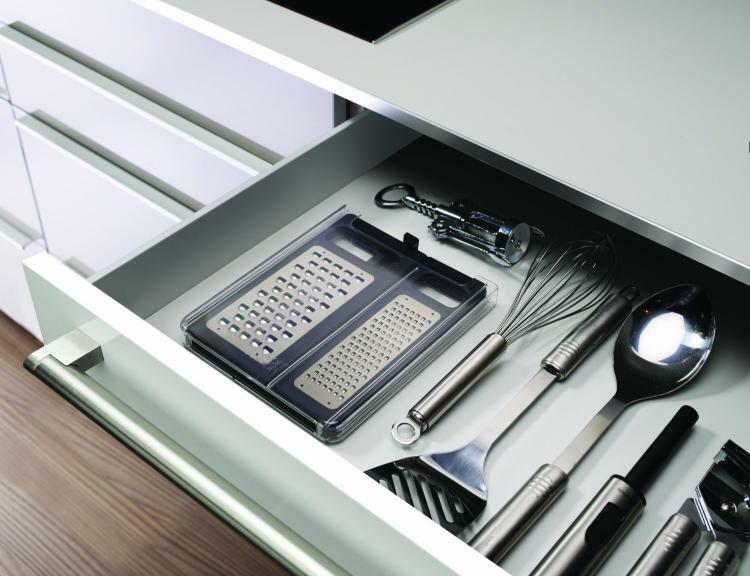 But when it comes time to put the grater away, it's damn-near impossible to find a spot for it, unless you have a designated cabinet specifically for a huge grater. The Fold-Flat Grater Plus by Joseph Joseph is a brilliantly designed grater that not only grates, and slices cheeses, vegetables, and fruits, but it also folds completely flat so you'll always have a spot for it in a cabinet or drawer. 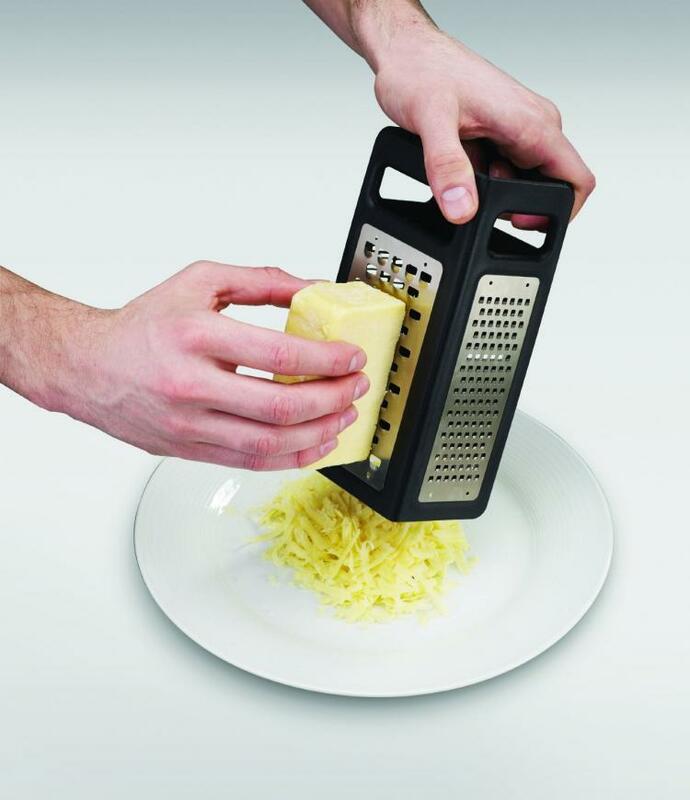 The folding grater comes with a handy handle on the top to always have a good grip on it, comes with a bunch of different grating sizes including fine, course, ribbon, and a full slicer. 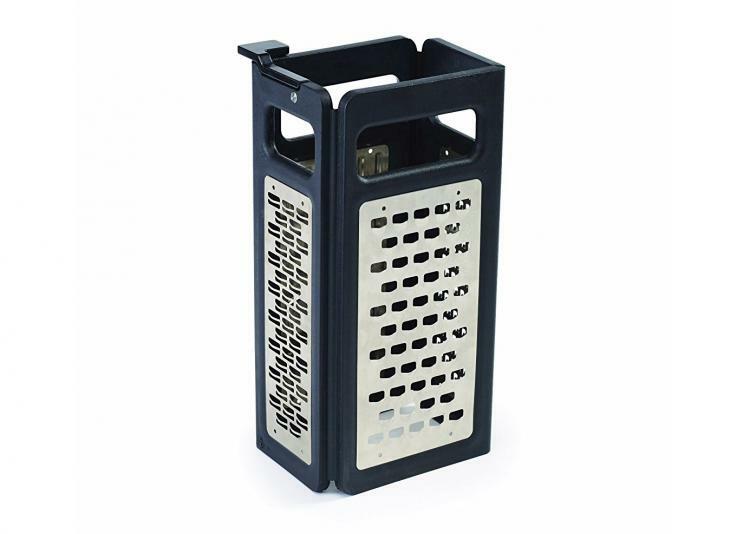 The grater is made from stainless steel, and even has a lock that will both lock it open and closed. 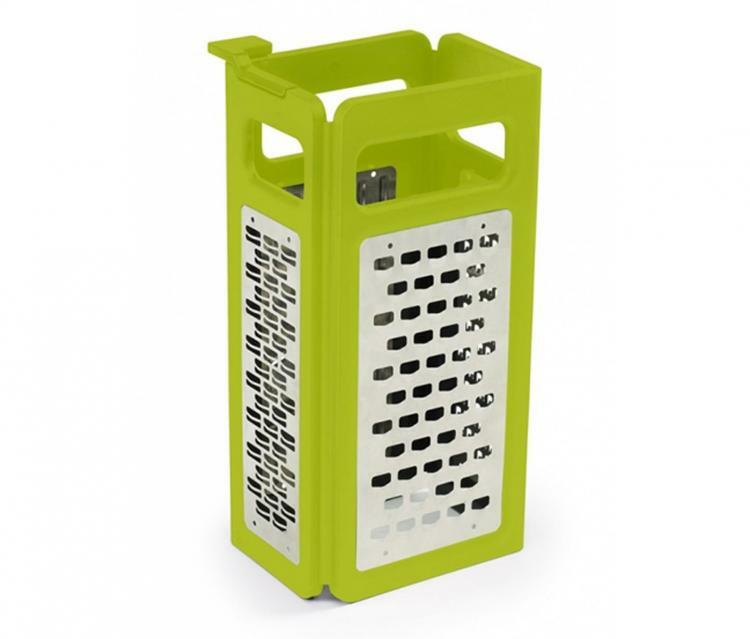 The fold flat grater comes in either black or green colors to choose from, comes with a plastic storage sheath to keep the blades safely enclosed when not in use, and is dishwasher safe for easy clean-up. 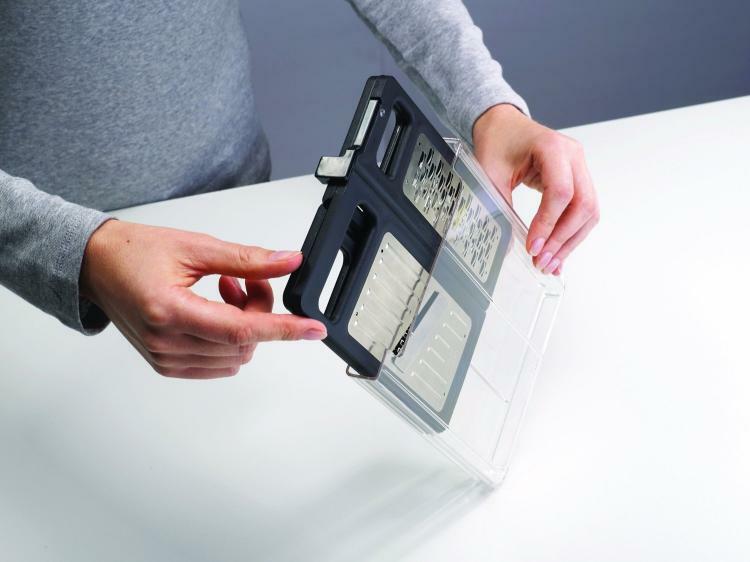 Check out the Joseph Joseph fold flat grater slicer combo in action via the video below.